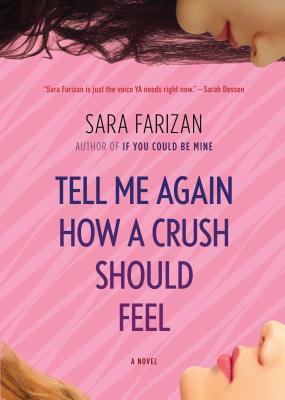 Review: I was pretty much slammed with ~feelings~ right away when I started reading Tell Me Again How a Crush Should Feel. The writing is fun, simple, and easy to get into. I fell in love with Leila’s character, her teenage struggles and her relationship with her family. Leila’s romance was equally amazing. The one thing the book was lacking was backstory and motivation for certain side characters. It would be great to have a sequel fleshing out these other characters, who didn’t feel quite as complex or fleshed out as Leila — though, to be fair, Leila is hard to beat. The key plot twist in the book was surprising and bordering on inexplicable. Still, I was invested enough in Leila herself to enjoy the book from beginning to end. Tell Me Again How a Crush Should Feel is definitely a must-read! Get it when you have the chance.